Zero Waste is a journey. Leading a zero waste lifestyle can be simple, cost-effective, timely, fun and is entirely possible for everyone and anyone. This series features four distinct workshops designed to connect you with unique ways to help you progress towards a zero waste lifestyle. 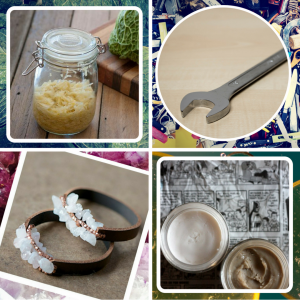 Re-envision waste as a valuable resource, learn to repair items before replacing them, make your own products to cut down on unnecessary packaging and added chemicals, and learn to preserve food to minimize food waste and packaging. October 20th 10 AM – 2 PM Repair Cafe First come, first serve. The Zero Waste Living Workshop Series was made possible thanks to funding from the Resort Municipality of Whistler’s Community Enrichment Program and our venue sponsor the Whistler Public Library. A 2014 audit of commercial and strata garbage found that 54% of the garbage stream being sent to landfill could have been diverted for composting. An additional 13% could have been recycled and only 22% of garbage sent to landfill was actually classified as garbage. Everyone living in, visiting or doing business in Whistler creates waste, so reducing and diverting waste from landfill makes sense for everyone. Improving solid waste separation supports a community shift towards shared zero waste goals and benefits all parts of society. 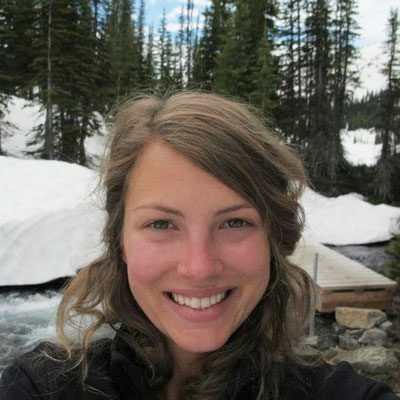 Steph is a graduate from the University of Victoria with a double major in Geography and Environmental Studies. Steph started out as a volunteer with AWARE in 2013 and quickly became inspired to sign up for the Projects Committee after seeing all of the incredible work AWARE was doing in the community. In the Summer of 2014, she ran zero waste stations at the Farmer’s Market for the organization and later became a Projects Coordinator for AWARE in 2015. While everyone at AWARE does a little bit of everything, most of Steph’s work is focused on helping advance the Sea-to-Sky Corridor towards its zero waste goals.